Abstract: Optical fiber development in communications and sensing started around 40 years ago but afterwards, they have had an unequal development. Fiber-optic sensor global market is growing and in the last years new technologies are available in specific niches where their electronic counterparts do not work properly. Development of new self-referencing techniques can also foster simple fiber-optic intensity sensors to be developed. Those techniques can also be applied to new integrated optics solutions based on intensity measurements. One of the main specific characteristic of fiber-optic sensors is its potential to be multiplexed so many points can be measured in different locations by using a single lead of fiber. Fiber-optic self-reference intensity networks can be developed using architectures proposed for broadband access networks. They can also share the use of specific devices already developed for communications applications. But the reverse can also be possible and successful strategies in the sensing domain can also be used to assist telecommunications needs. A review of different fiber-optic sensors will be given, showing techniques for reliable remote measurements in multiple points using fiber optic intensity sensor. An example of a cross-application from sensors to monitoring broadband access networks will also be described. Biography: Dr. Carmen Vazquez is Professor at Electronics Technology Department of the Universidad Carlos III de Madrid (UC3M), Spain. She is currently a Visiting Scientist at Research Laboratory of Electronics at Massachusetts Institute of Technology. She is co-leader of the Displays and Photonics Applications research group. 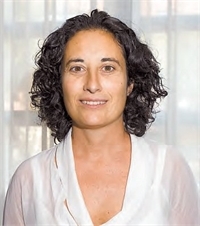 She worked at the Optoelectronics Division of “Telefónica Investigación y Desarrollo” (Spain) and at TELECOM (Denmark). Her research covers the fields of integrated optics devices, plastic optical fibers, broadband access networks and monitoring techniques, filters, switches, fiber sensors and networks. She has coauthored 57 papers in refereed journals, 59 international Conference Proceedings and 5 patents and she has coordinated 3 book chapters. She has experience on National and European projects of ESPRIT, RACE & IST programs such as PLANET, OMAN, HEMIND, SAMPA, EPhoton/One+, BONE (Building the Future Optical Network in Europe), COST299 (Optical Fibres for New Challenges Facing the Information Society). She is member of IEEE (senior), SPIE (Publications Committee Member), and OSA. She regularly gives lectures at Telecom Bretagne University (France) since 2006. She has supervised 5 Ph. D. students awarded with UC3M doctorate extraordinary awards and ONO PhD award in Innovation on Advance Services on New Generation Networks. She graduated in Physics at Complutense University of Madrid (Spain) in 1991, and she earned a doctoreate in Photonics Technologies in 1995 from Polytechnic University of Madrid, she won the doctorate extraordinary award. She has been twice a Vice Chancellor or Vice President of the UC3M, from 2007 to 2009, in the areas of Postgraduate Studies, Quality, Infrastructures and Environment. Before, she was the Head of the Electronics Technology Department from 2004 to 2007.